The Bersa Thunder Series has been designed to deliver pinpoint accuracy and rugged reliability under the toughest conditions. Its lightweight, small-frame and ideal capacity combined with Bersa's time-tested reliability and accuracy to make the Thunder an excellent choice for personal protection. 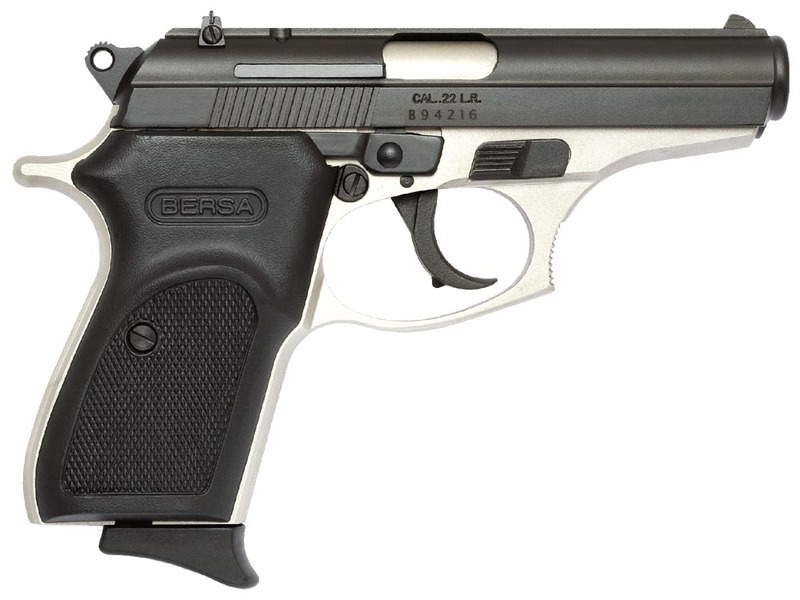 The Thunder .22 is Bersa's smallest caliber semi-automatic handgun. It features a aluminum frame with steel slide, polymer grip, blade front with dovetail rear sights, and has a manual safety. This model has a nickel frame with a black slide.